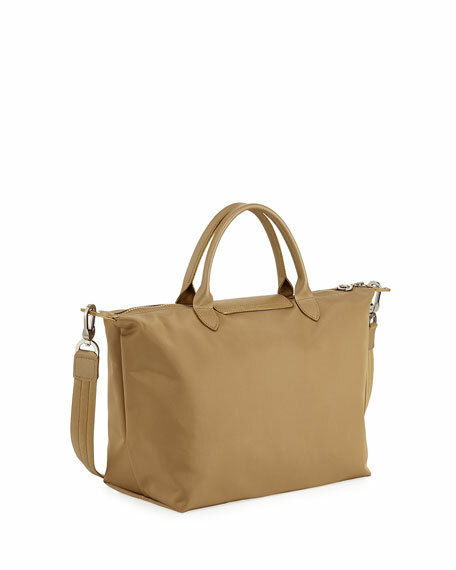 Longchamp nylon tote bag with leather trim. Removable web shoulder strap, 18" drop. Snap flap with racehorse embossing. 10"H x 11"W x 6.8"D.
"Le Pliage Neo" is imported. For in-store inquiries, use sku #2229056.